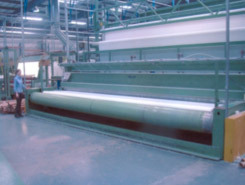 AMR Textiles & Fibre Fillings are Divisions of the John Holden Group, which is a third generation family business that has been established for over 50 years. 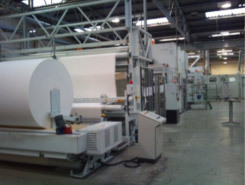 The Group has a diverse yet integrated portfolio of Operations in the North West of England, covering many aspects of the Technical Textile Sector. The John Holden Group can offer an extensive capability for the production of coated & uncoated technically demanding textiles. There is a commitment to re-channel earned capital into Research & Technology which has steadily developed the John Holden Group into an Operation of rare ability & stature. Extensive capital investment programmes over the last 10 years have resulted in significant growth for the Group as well as securing a long term future prosperity.